In a cooperative or solo game, players must now work together to overcome the mountain and survive the expedition. 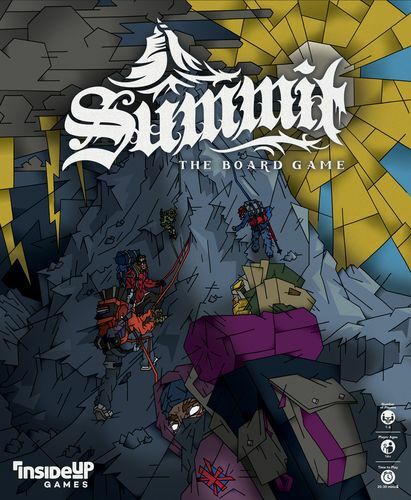 Summit is a game so grueling you need only one team member to survive the ascent and descent, so players may sacrifice themselves for the good of the team. The mountain has a "Sherpa Track" and a "Time of Day Track" added, as well as a whole new deck of cards. It is unlikely everyone will be returning from this expedition. With over 190 unique cards, nearly 100 tiles, unique resource management and tracking on dual-layer asymmetrical player mats and the ability to customize your difficulty and game length, Summit guarantees you will never play the same game twice!